As parents, we all want the best for our child. We provide nice clothes, shoes, toys, gadgets, and everything else that can make them feel that they are loved. But as an old saying goes, “Education is the best gift that parents can give to their children that none can take away.” Which is true on so many levels and aspects. No matter where a child goes, equipping him with a smart mind can only take him to the most beautiful places and situations. So, how do you raise a smart child? Will it require a lot of effort? In this article, we have gathered simple tips that can help in raising a child who is always a step ahead of his peers. 1. Show them the advantage of reading. When you read, you are in a win-win situation. 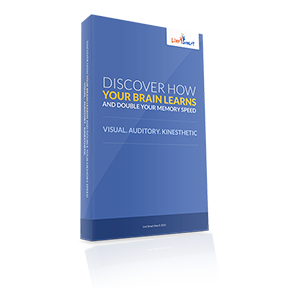 Your vocabulary widens and your creativity goes beyond limits. Your child does not have to be a bookworm, but if you like the idea of your child reading every now and then, try to introduce 1 book for the first month with a genre that can interest him. After the trial month, introduce another book from the same genre and another genre that is close to his first book. Now, if you child is already an avid reader, try suggesting books that are inspirational or thought-provoking but is easy for him to read. Another tip that you can do is by being an example to your child. If you can, try reading together or ask your child to tell you what he learned from reading the book. 2. Limit the use of technology. Using technology is not bad at all, but of course, everything should be in moderation. One negative effect of technology is that we become lazy when it comes to things that should be done manually. Technology makes our lives easier but in the long run, it also has adverse effects. Using mobile phones and gadgets should help you and your child become smarter and not the other way around. If you applied tip #1 above and it worked, this tip should also work without protest. 3. Teach them how to be independent. Which means solving their own problems, coming up with better and wholesome solutions, deciding on their own, and even planning things for the day. If you want to teach your child independence, you have to learn how to let him go. Not exactly giving him the ultimate freedom, but also trusting that he can do it on his own. Let him climb go on for a hike or be involved with community activities. Experience is always the best teacher. If you believe in your child that he can do it, he won’t turn away from his goals and dreams. Overpraising can have negative effects on your child. One study shows that students who were told they’re hardworking did well on their exams compared to those who were told they are smart. So what does the study tell us, parents? If you praise your child as “smart”, it can reduce their independence. They might think they’re smart enough to review and read more than usual because they are already smart by default. But they have to know that they still need to study and learn more. Tell them that learning does not stop. It is continuous as they grow old and that even parents still has to learn new things. This is something that the whole family should be doing. For instance, dancing and exercising are known to improve a child’s cognitive abilities by 100%. With just 40 minutes of playing badminton, volleyball or simply playing hoops can raise his IQ by 3.8% and receive better grades in Math, English, and Science. Support his interest in skateboarding, cycling, taekwondo, tennis, badminton, and other ball games that can help him be healthy in mind and body. 6. Have meaningful conversations with your child. It sounds easy, right? But what if your child is shy when talking to you? How do you get your child to talk to you? The secret is to make him feel like you’re his friend. A friend that he can tell anything and everything to. Put yourself in the shoes of a counselor or therapist. If your child is scared of you and he looks down while you’re talking, he is probably afraid of you and your violent reactions (if you do that often). You can start by sharing your own dilemmas and challenges during your younger years, specifically his age. Tell him how it affected you and how you felt about it. After telling him your resolution, ask he has the same problems too. Once you get him to open up, do it regularly. Talk about everything. Share old jokes, funny stories, interesting facts from the past, your bizarre experiences and also your mistakes. Remember that communication is a two-way thing. It shouldn’t always be about you and your rules. Let your child know that it is okay to have mistakes and that you have them from time to time too. Remember that talking to your child regularly will not only boost your child’s confidence but also his IQ and reading ability. 7. Participate in enrichment programs. As your child grows up, there will be a lot of other sources of growth and development for him. There are a lot of personality development programs, seminars, and conferences that you child can participate and benefit from. Aside from his education, invest in a holistic program that can help him do his best in his formative years. A child does not only need basic knowledge but also life skills. 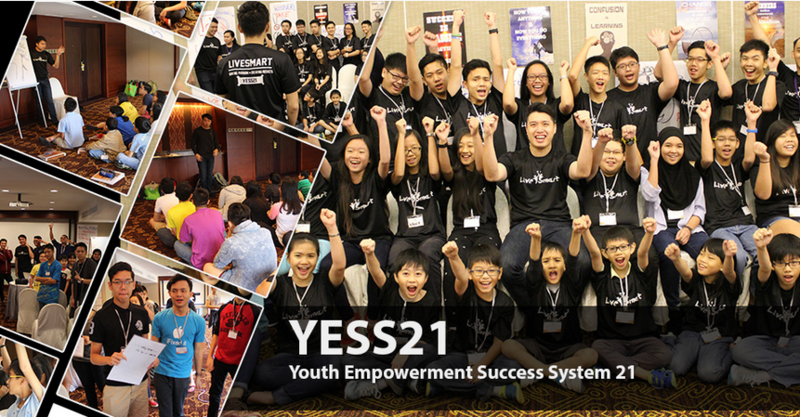 Like our flagship program: YESS21 We train kids on self-motivation, self-esteem, self-worth, time management mastery, learning skills mastery and communications mastery. Most students nowadays graduate without life skills. This is something that we can’t just let our children learn on their own. Remember that learning isn’t only done in school. So there you have it. 7 ways to ramp up your kids’ success.